Well, there is no rooster in this gallo pinto recipe as it is completely vegetarian. The origin of the recipe is as disputed as pavlova is between Australia and New Zealand. 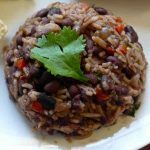 Indeed, gallo pinto is the national dish of Nicaragua and Costa Rica, although Nicaraguans write it in one word (gallopinto). 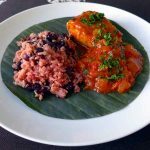 The other big difference (at least for the ticos and nicos as the residents of the countries call themselves), is the use of black beans for Costa Ricans while Nicaraguans swear by red kidney beans. The battle raged so much between the two countries that for years, they fought for the record of the largest gallo pinto. Nicaragua holds the Guinness record since 2007 with a gallo pinto that served 22,000 meals! What is the origin of gallo pinto? 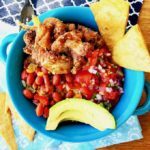 The gallo pinto recipe has several origins, all of them equally disputed. Let’s start with the name “spotted rooster” which may come from the appearance of the dish. Beans give a spotted appearance to the rice that looks like the plumage of a rooster. Gallo is also the name given to the ingredients that typically top a tortilla. 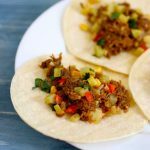 Gallo pinto and pico de gallo are examples of such toppings. 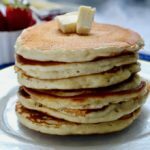 In the literature, the word is mentioned for the first time in a novel titled Mamita Yunai by Costa Rican writer Carlos Luis Fallas where workers at a banana plantation, both Costa Ricans and Nicaraguans begin to eat this dish. 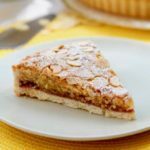 However, the origins of this recipe are much older than 1940, date of publication of this novel. Others claim that the name comes from the story of a rich villager, Don Bernabé. In the 30s, he hosted a banquet in the suburbs of San Sebastián (Costa Rica). For the occasion, he killed his spotted rooster, and added it to the menu boasting about its size. But due to the increasing number of guests, he asked his servants to prepare a recipe with ingredients that were available, namely rice and beans. This version is just as historically dubious because gallo pinto is much older. 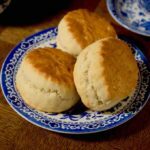 We find the first mentions of the recipe in the 1800s. Another possible source is the tradition of the husband (casado). This dish is often called casado in Costa Rica, or casados ​​(married couple) in Guatemala or even casamiento (marriage) in El Salvador, Honduras and Panama. According to the tradition, leftover rice from the wedding ceremony the night before, is fried with the addition of beans in order to mask their lack of freshness. This dish was served at breakfast the next day when guests would wake up. It took the name gallo pinto because of the colors of the rooster that woke the guests. 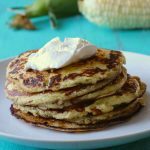 This version, although disputed, is the most likely, especially since it helps to explain the ubiquity of the recipe in Central America. Recipes similar to gallo pinto are known in Spain and Cuba as Moros y Cristianos (Moors and Christians) or just Moro. In the Dominican Republic and Puerto Rico, other variations are known as Moro of Guandules or habichuelas rosadas. Colombians swear by calentado paisa while the Peruvian version is called tacu tacu (no, this is not an insult!) A few months ago, I also cooked the Venezuelan version. I served pabellon criollo with fried meat that had simmered for a few hours. 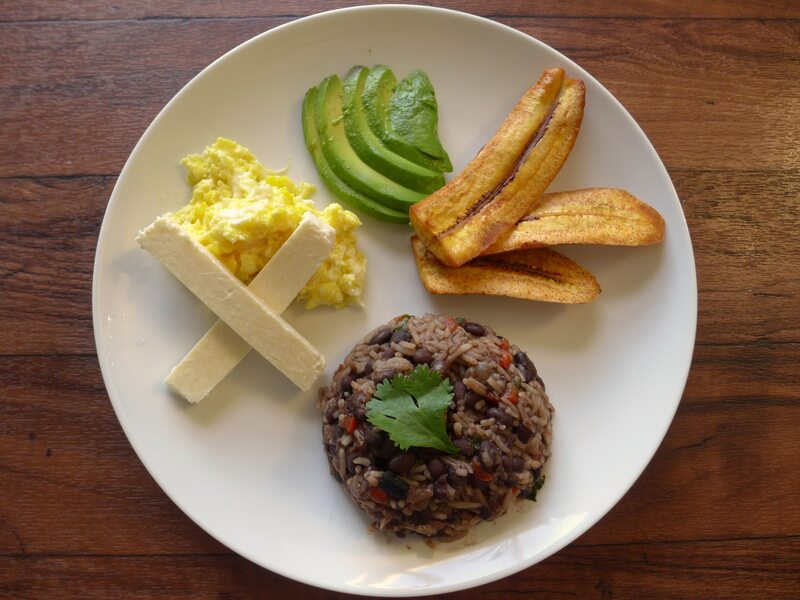 Traditionally, gallo pinto is consumed at breakfast, often served with cheese, scrambled or sunny-side-up eggs, fried plantains, avocados, tortillas, etc. I personally served this dish for dinner with some of these ingredients. The next day, I had lunch with Cecilia, our housekeeper from Mexico who immediately recognized the typical Central American dish. 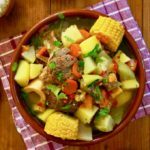 In Costa Rica, you can find the national dish on the menus of fast food chains like McDonald’s or Burger King but also at prestigious restaurants. You can even buy canned gallo pinto! 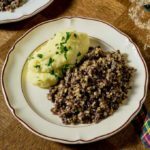 There isn’t really one recipe for it as each region and even each family has its own. 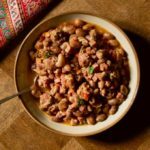 However, there are some essential common ingredients such as rice, beans and… Lizano sauce ! Yes, another unusual ingredient as I love to find them! A few months ago, as I was visiting a local Hispanic supermarket, I discovered this unique sauce. I obviously had never seen this sauce before. When I read where it came from, I immediately decided to purchase it. A sauce from Costa Rica? 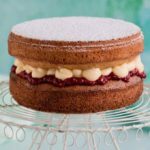 There had to be a recipe that could use it! Indeed there was. Although Lizano sauce is as ubiquitous in Costa Rica as mustard is in France, this sauce is very often associated with gallo pinto. The exact composition of this sauce is kept secret like Coca Cola’s. Today, it is truly known only to one man on Earth: Claudio Rojas Araya. 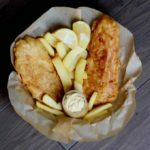 In the early 1900s, restaurateur Prospero Jimenez had the idea of offering his customers a condiment different from what existed at the time. Prospero used carefully selected vegetables marinated in a mixture of vinegar and salt. Success with his customers was so important that he decided to produce and distribute large quantities of this sauce. And Prospero prospered! At least until 1920, when the arrival of a British company, Lea & Perrins, threatened his business. The company had been selling the famous and much appreciated sweet and sour sauce called Worcestershire for nearly a century. Confident that his expertise in the marinated vegetables that made up the Lizano (onions, cauliflower, carrots, cucumbers) would allow him to design a similar, but better sauce, Prospero developed a product which he kept secret all his life. This new product, called Salsa Lizano, was an instant hit and became as famous as the Worcestershire sauce. 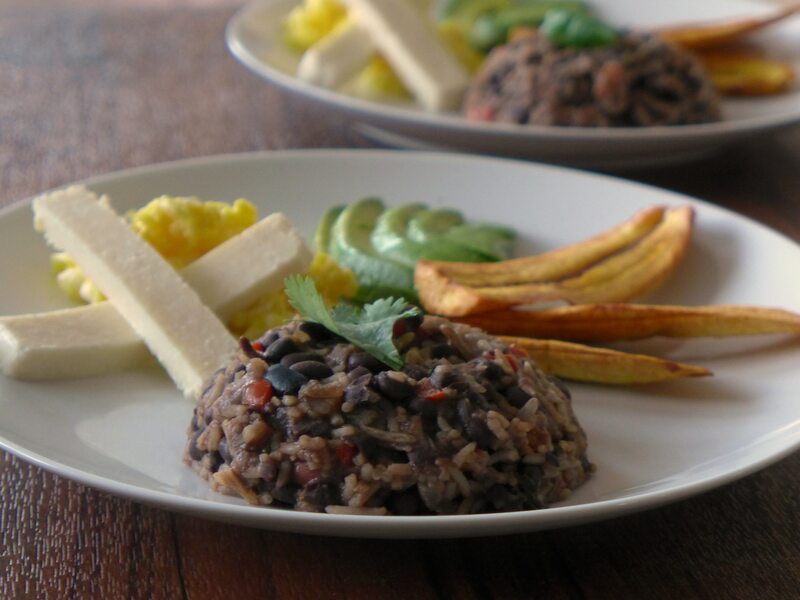 The very colorful composition of the gallo pinto recipe and its sides were a hit at home. Even my wife, who is not the biggest fan of “ethnic” recipes loved this dish, to the point of ranking it in the top 5 recipes of 196 flavors. Now, if you are unable to find Salsa Lizano to prepare this dish, you can replace it with Worcestershire… although Prospero might turn in his grave! 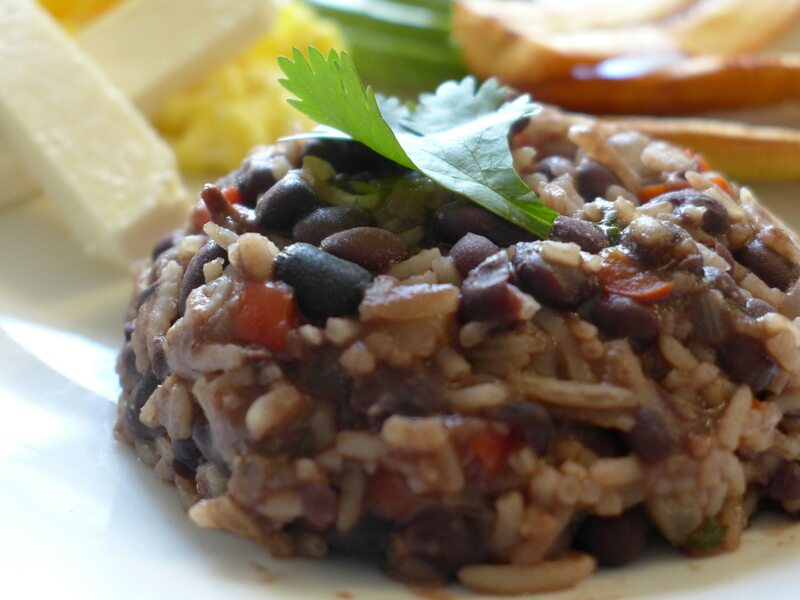 Gallo pinto is a traditional rice dish from Costa Rica and Nicaragua that is prepared with the typical Lizano sauce. In a skillet with a little oil, sauté the red bell peppers and onions on medium-high heat. When the onions are translucent (after 8-10 minutes), add the garlic and continue to sauté for 1-2 minutes. Add the black beans with their liquid, and 2 tablespoons of Lizano sauce (or more). After 3 minutes, Reduce heat and add the rice and stir gently. Continue to cook for a few minutes. Add the chopped cilantro. Season with salt and pepper. I am waiting for my Lizano Sauce that I ordered on line. Meanwhile I could not wait any longer to try the recipe so I made it tonight, Feb. 9, 2017, with Mexican seasoning instead. I used brown rice. I added garbanzo. We really like it this way also. I am eager to taste Lizano sauce! You won’t regret it Maria. Lizano’s taste is very unique. Enjoy!